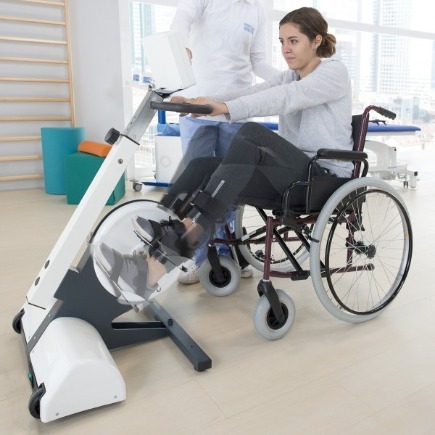 Motorized stationary cycle-ergometer for passive, assistive and active training of the lower limbs. 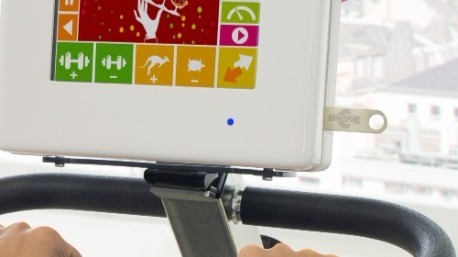 With touchscreen display (7") and motivating software. 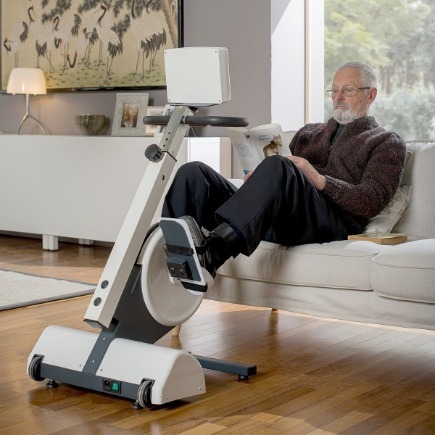 Motorized stationary cycle-ergometer for passive, assistive and active training of the lower or upper limbs. With touchscreen display (7") and motivating software. The software is multi-user type, and it allows to create, modify and delete different accounts. The settings are stored for each user in a database and they can be recalled when a given account is selected. The account stores the settings of the therapy, both for legs and arms. It also keeps a record of all the training sessions for each account. The buttons Start/Stop of the therapy have great visibility, they can be easily interpreted and they are easy to reach, both by the patient and by the carer. 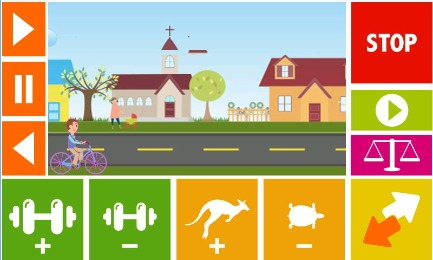 MotoLife® is easy to use at home due to its friendly interface with simple and big buttons, large and colorful pictograms/icons and a very bright display. The setting panel for adjusting the details of the therapy and for setting the safety parameters (e.g. spasticity control) are easily accessible and easy to interpret. The software has been projected in order to be easy to use and with the objective of involving the user in such a way as to keep him or her focused on the training and feels well looked after at all times. The colorful interface and the detailed information, as well as the games, keep a high ratio of interest by the users of MotoLife®. By inserting a USB memory drive in the port on the right of the display it is possible to export the data in a text file, in comma separated values (CSV). Such information can be easily imported into an excel file to study the results. 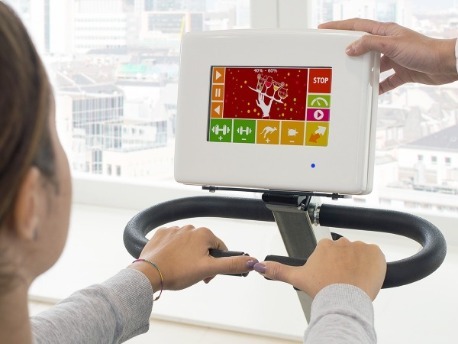 Play-therapy: three different play-therapies with a biofeedback are present to improve the involvement of the patient, increasing his or her commitment, during the treatment. The game related to the pedalling speed shows a ride along a city street. According to the speed of the pedalling the ride becomes faster or slower. 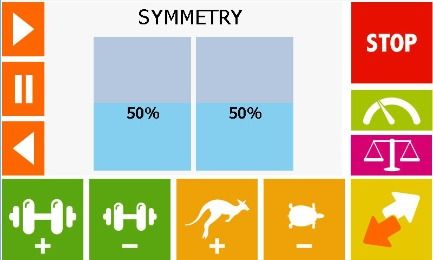 The first game related to symmetry requires balancing a tray and allows the user to be directly involved in the improvement of the balance between both limbs. 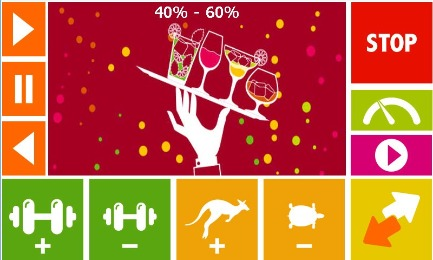 The second game is related to the symmetry and it is represented by two colored bars. 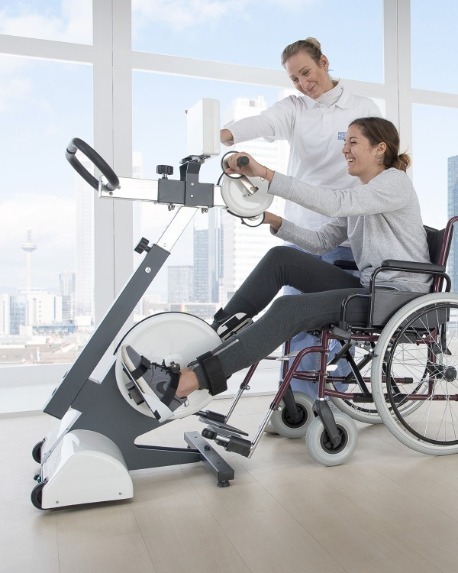 It improves the involvement of the patient to improve the symmetry of the pedalling. Printed in January 2018; 36 pages; English 1st edition.